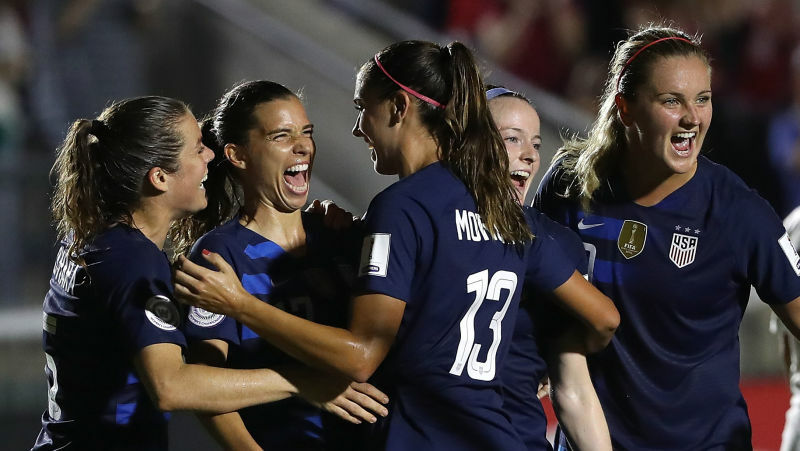 Jill Ellis has named her squad that will play France and Spain to kick off 2019. United States Women's National Team head coach Jill Ellis, has named her first roster for this World Cup year. The traditional January camp is a time to bring in a large pool of players, with a lot of fresh faces, to train with the team without the pressure of matches. This year is different because the 2019 FIFA Women's World Cup is six months away and the ball needs to get rolling quickly. The recently named roster is not far and wide, all those names you expected to see in France are there with a few players still fighting for their spot. The USWNT is travelling to abroad for a friendly in France and one in Spain on the 19th and 22nd, respectively. The two least capped players have two caps and earned them during the November friendlies. Danielle Colaprico, midfield, and Emily Fox, defender, must have impressed because now they are looking at a serious chance of being in France. Colaprico is currently playing in Australia’s W-League with Sydney FC. In seven starts Colaprico has two assists and a goal. Fox plays collegiate soccer at University of North Carolina, where she and her teammates made it all the way to the championship game but could not get a result against Florida State. Kelley O'Hara, Tierna Davidson, and McCall Zerboni are all back with the team after injuries. O'Hara had ankle surgery in the fall, Davidson suffered a fractured ankle, and Zerboni had a fractured elbow. This roster was more surprising in those who were left off the roster, most notably: Allie Long, Andi Sullivan, Merritt Mathias, and Sofia Huerta. Long, Sullivan, and Mathias were all on the November roster, but with Ellis committed to playing with three in the midfield and seven already called in there was no room for them. Huerta has been on and off with the USWNT for more than a year, even getting traded to the Houston Dash where she as promised time as an outside back because that is where Ellis told her she see fit. With the move of Crystal Dunn to outside back Huerta’s time there with the USWNT may be a thing of the past.